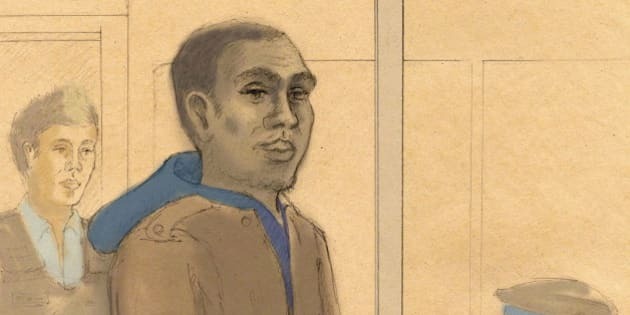 Christopher Husbands has been found guilty of second-degree murder in the 2012 shooting at the busy Toronto Eaton Centre food court. Husbands fired 14 shots in the food court on June 2, 2012, sending hundreds fleeing. He was also found guilty of five counts of aggravated assault, one count of criminal negligence causing bodily harm and one count of reckless discharge of a firearm. Husbands admitted to fatally shooting the two men and wounding five others, but had pleaded not guilty to all charges against him, claiming he was not criminally responsible for the acts. Husbands testified he believed he was about to die just before he opened fire in the tourist-heavy shopping centre. "I was afraid, I was panicking. I wasn&apos;t expecting to see these people. They just came out of nowhere," Husbands said, as he took the stand in his own defence. "I was shocked. I was caught off guard." The slain men had attacked Husbands months earlier, beating and stabbing him, before leaving him close to death. An expert psychiatrist told court Husbands was suffering from post traumatic stress disorder at the time. The Crown, meanwhile, has argued that Husbands opened fire at the mall because he was determined to get revenge on the men who had attacked him. States With The Most Gun Violence: 24/7 Wall St.